Have you recently purchased an older home that is a bit of a fixer-upper? Or, maybe you’ve lived in the same home for the last 15 years and feel that it is time for an update. If you can relate to either one of these scenarios, your brain is probably swimming with all the things you need to do to renovate your home and turn it into the perfect place you’ve been craving. As you consider the paint colours and the layout and design of the home, one area that you will want to focus on is finding the right flooring for every room. Choosing the right type of flooring for your home can make it a beautiful, stylish and comfortable place to be while choosing flooring that doesn’t quite meet your needs can haunt you for years to come. There are many different flooring options to choose from, such as carpet, vinyl, hardwood, or even laminate flooring. Each type of flooring comes with its own set of benefits — the choice you make will depend upon which benefits are the most important to you and your lifestyle. 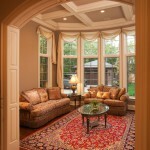 Carpet — offers insulation, padding, softness, warmth and a reduction in noise levels thanks to the insulation it provides. Hardwood — Easy to clean, beautiful, increased air quality, and perfect for children and allergy sufferers. Vinyl — Durable, comfortable, noise reducing, and able to withstand a high volume of foot traffic. Laminate —Won’t fade over time, resistant to stains, able to withstand dents and scratches, and perfect for areas that will receive a great deal of use. When you want the best flooring for your needs, come in and visit with us at Giant Carpet Flooring Centre. We will listen to your vision for your home, and help you to decide on which flooring option will be best for meeting your needs. Contact us today!